I'm actually so excited for this post! As you probably know I'm Italian. And I love crostini, as most Italians do. 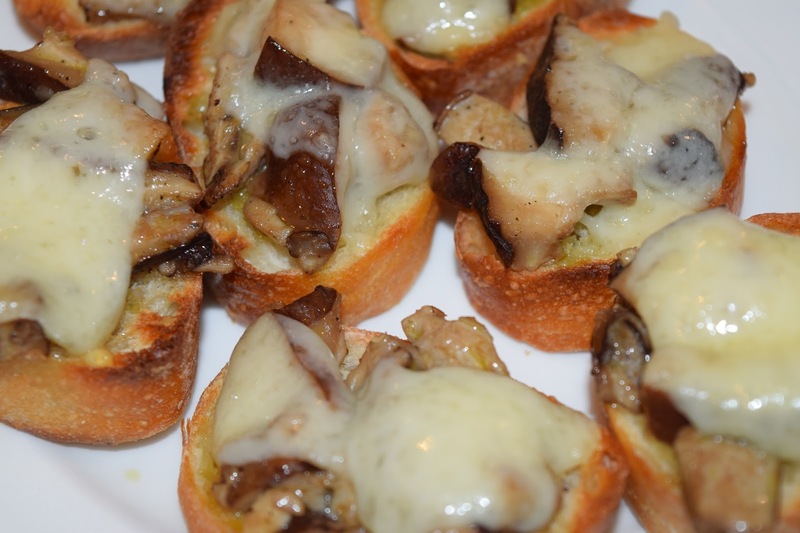 I'm going to share with you my 4 favorite ways of eating crostini! Before you start on the "topping", you have to have a perfectly toasted piece of bread. I always use baguette that I find at my local grocery store. I place thinly cut slices on a piece of tin foil and drizzle oil and a little bit of salt on the bead before putting it into the oven. Toast the bread for about 3 minutes on each side. It may be a little more or less depending on your preference of crunchiness and your oven. Toasting the bread is important, because if you don't the bread will soak up all of the "juice" and liquid from whatever you put onto leaving it soggy. 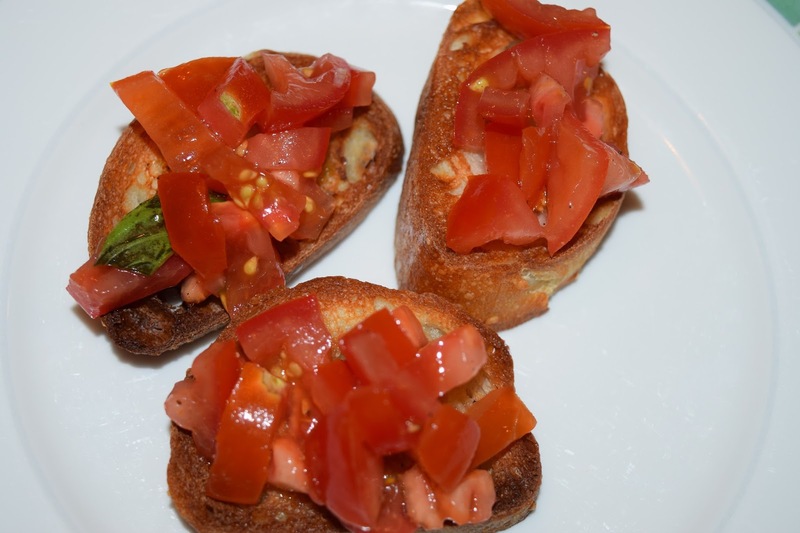 The first type of crostini is the classic bruschetta (pronounced brusketta). All this is is basically tomatoes, garlic and basil chopped up really small. I recommend using larger tomatoes to make it easier to cut up small. Then add in minced garlic and basil and enjoy! 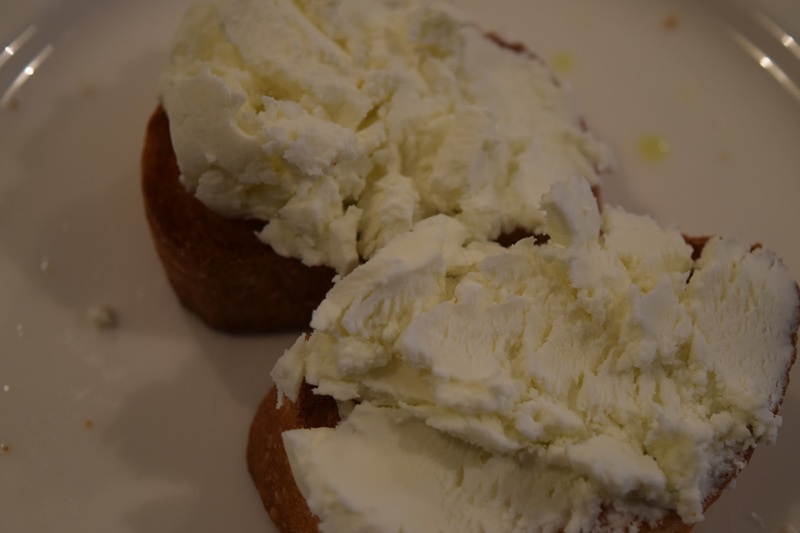 My next favorite is crostini with ricotta and honey. This is so easy and requires so little work! I take 3 parts of ricotta to 1 part honey and mix it in a bowl. After scoop into your toasted baguette. Don't underestimate the simplicity of this cause it tastes so good! The third is another super simple crostini. It's just goat cheese! *i cannot remember the name of the type of cheese for the life of me but it's just packaged goat cheese that you can find at a trader joes or something similar. I just scoop a little goat cheese on top of my baguette and enjoy!! The last is probably my favorite because it involves mushrooms!! If you don't know I LOVE LOVE LOVE mushrooms so this is perfect for those of you like me. For this recipe, I recommend not toasting the bread before, because it does have to cook in the oven for about 7-10 minutes and you don’t want to burn the baguette. This is the most complicated recipe because you have to sautèe the mushrooms first. To do this, heat up some olive oil and brown some garlic in a sauce pan. Then add your mushrooms and some chili pepper (optional). After, cut the mushrooms into small rectangles, and add them to the sauce pan. Cook the mushrooms for 15-20 minutes, and then let them cool. After, place a few pieces on the bread and top with a piece of fontina cheese. Put the crostini into the oven at 425° until the cheese melts. After, let them cool for a couple minutes and then enjoy! I hope you guys enjoyed this post, because i absolutely love crostini, and i love serving them as appetizers when i have guests! Don’t forget to share your favorites!! and follow us on twitter and instagram.